I wrote this blog post almost exactly two years ago and this topic came up again when an old high school classmate asked me if I could suggest a financial advisor for her. Here is what I wrote on April 29th, 2011.
plan of most financial advisors. given the exciting changes I have coming up. planning to have children in the next few years. So, I thought it might be time to update my financial plan. and talk about one of the meetings in particular. and how much money I want coming in. the next 10 years and make $250,000 each year after taxes. He ran his computation (not including existing assets) and told me that I would need to create a nest egg of over $1.6 Million dollars in the next ten years to achieve my goal. With that nest egg I could then invest in the stock market, mutual funds, annuities and other financial products to achieve my annual retirement income goal. Lets take a look at this plan in 4 parts. Most people if they had to save an extra $1.6 million dollars over the next 10 years would do what they know how to do…work harder. That means I would need to save an extra $160,000 / year for the next ten years. This amount wouldn’t even include the money I need to live, to feed my family, to have some fun etc. But for the purposes of this example and to be ultra conservative, let’s say that I managed to live extremely frugally and lived off of $40,000 so my needed income would be an even $200,000 after taxes. That means I would need to make $240,000 / year to net approximately $200,000 after taxes. But, even if you can make $240,000 / year busting your a$$ at a job, why would you? As we’ve discussed, earned income is the highest taxed type of income AND you are putting in lots of time to achieve your goal. That time you lose, not spending with your family, not doing the things you love to do, you cannot get back. How are you generating this income? Even if you have gotten resigned to paying high taxes, how secure is your job? Is your job going to be safe with the economic changes we are undergoing and will your job be necessary in the new global economy? If it is, then you should do ok. But I would argue that very few jobs will really be safe with the changes that are coming. If you know your job is not going to be safe, now is the time to start looking at new ways to produce income. 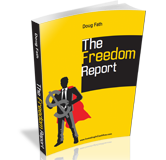 Make sure to get a free copy of “The Freedom Report” if you haven’t yet to ensure your freedom in the new economy. If your job is safe then keep on producing income, because that is only the first step of the plan. The next step is then investing that money. Most financial advisors want you to put your money into the stock market, mutual funds etc and hope to get a 10 or 15% return on your money. This sounds crazy to me for a few reasons. First off, I think 10-15% return is extremely low. There are ways to get higher returns with less risk. Second, you have absolutely no influence over how your investment performs. It doesn’t make any sense to me to work hard your entire life and then “trust” your retirement to strangers. Does that really sound like a safe and secure plan to you? I know many people who lost at least 50% or more of the value of their retirement accounts after the mess of 2008. How much influence did you have to actually affect the value and profitability of your retirement account when the financial storm hit? If the answer is not much, it may be time for you to change your investment strategy, especially because the worst is still yet to come. And yet this is what is scariest to me. 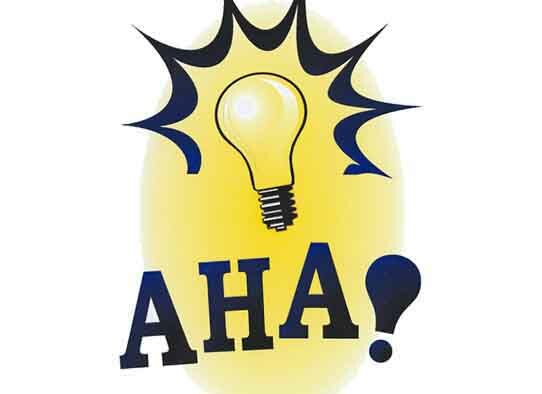 Lets say I had taken the financial advisors’ advice 10 years ago and had found a way to save $1.6 million dollars in my retirement account and then after the subprime mess of 2008 that account dropped to $800,000. What would I do then? I busted my a$$ for 10 years, did everything I was supposed to and because I had limited influence over my investments, when the financial storm hit I ended up only halfway towards retirement instead of being able to retire. The unfortunate thing is that today lots of potential retirees find themselves in this exact position. Yet today when I sit with most financial advisors they give me the same advice that they have given in the past. Do you think that potential retiree who can’t retire now would endorse the plan that the financial advisors gave me? The problem now though is that potential retiree has been practicing how to make earned income for the past 40 years and that is the only thing he/she knows how to do. And since he is now $800,000 short to retire he has three choices. 3. Learn an entire new skill set and take control of his investments and learn how to create passive income. Unfortunately at this age, most people aren’t willing to even consider number three as an option so they resort to 1 or 2, neither of which is very appealing. After meeting with financial planners and listening to their options I’ve come to the conclusion that the plan I first created after reading Rich Dad Poor Dad, when I was in my young 20′s is still the best plan for me and my “new, soon to be” family. I realize this plan isn’t for everybody, but for me, it’s the only one I have confidence in because I am able to influence the results and am 100% responsible for how it goes. It’s a simple plan, but it takes hard work. The exciting news is that the harder you work upfront, the less work you have to do on the back end and the more money you make. Like Robert Kiyosaki says, acquire income producing assets. The truth is at the end of the day, risk is always a part of any financial plan…nothing is guaranteed. 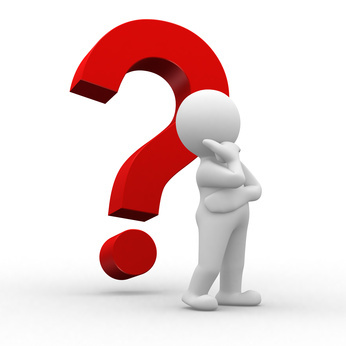 The question is which financial plan makes the most sense for you and will help you achieve your desired goals? I believe I am able to reduce my risk by increasing the influence I have over my investments. In addition the more I educate myself, the more investing experience I get, I further reduce my risk. Not only do I further reduce my risk, but I also increase my financial returns. This also requires courage, especially at the beginning. When I read Rich Dad Poor Dad at the age of 20, I learned a new way to create wealth and make money but it is one thing to know how to do something and to actually do it. When I purchased my first piece of real estate 7 years ago at the age of 22, I got in the game. For the past 7 years I have continued to educate myself in the “virtual classroom” by attending seminars, reading books, etc as well as getting real world experience by actually doing what I’d read. Each year I develop skill sets that enable me to increase my income producing assets, make more money, pay less in taxes and have the time to do the things I enjoy most with the people I love. Stay tuned because in my next post I will be sharing in detail how my real estate assets are able to achieve the results I mentioned above. Join the conversation and let us know what your plan is by leaving a comment below. A big mistake investors make is that they get so caught up with the newest and latest strategies that they run in too many directions and lose focus. Strategies are important but in order to succeed, your strategies must be aligned with your Investment Principle. Principle is defined as a fundamental law or truth from which others are derived. In order to build a stable foundation and stay out of trouble it’s important that you create an investment principle that you follow. Creating an investment principle helps you focus and follow a specific path towards success. For example, my investment principle from day one has been: Invest In Cashflow. Sticking to my investment principle helps me identify which deals to look at further and which ones to ignore. If a deal will not produce positive cashflow I won’t even waste my time and energy looking at it because it isn’t aligned with my investment principle. When I first started investing , I was living in NYC and because I was clear on my investment principle I knew I was not going to be investing in NYC because prices were very high compared to rents to produce the positive cashflow. I then started looking into other markets where I could find income producing properties. It is because of this investment principle that I survived the real estate crash when many so called real estate investors went bankrupt. This investment principle has allowed me to create passive income and wealth in both an up and a down market. Strategy is defined as a plan, method or series of maneuvers for obtaining a specific goal. Once you are clear on your investment principle you now can choose strategies that are aligned with your principle. Although I am primarily a buy and hold investor, the advantage to investing in cashflow is that it gives you numerous exit strategies to choose from. Buy & Hold – My primary purpose for investing in real estate is to create wealth and passive income and investing in cashflow real estate allows me to achieve these goals. Wholesaling – This should be a last resort because although it is risk free and a quicker way to make money, it’s typically considered earned income so you are taxed at your ordinary tax rate and subject to self employment tax. But, income producing assets are always in demand, even if the property needs some renovations to get it into rent-able condition. What makes wholesaling so appealing is that you can make some nice cash with putting a small deposit down and not putting that money at risk due to the contingencies you include in the agreement of sale. As a result, you can wholesale a property to another investor to make some quick cash, but make sure you are aware of your tax bill on the transaction. Flipping – Similarly, investors are always looking for income producing assets. Since I have taken the time to acquire and renovate the property and have filled it with tenants, the property cashflows from the moment the end buyer purchases the property. Because I have made this investment turn key for the end buyer they are willing to pay retail price because of the passive income and tax benefits they receive from this property. If you chose to flip you want to make sure that you are holding the property for over a year so it is considered long term capital gains or you may want to look into doing a 1031 exchange to defer paying taxes now. In addition, if flipping becomes your full time job, this income can then be taxed at your ordinary tax rate and be subject to self employment tax. There is no right or wrong answer for the investment principle that you chose. I personally chose investing in cashflow because focusing on cashflow allows me the flexibility to invest for not only cashflow but also for capital gains. The Infinite Wealth ProcessTM was designed to give you greater clarity & confidence when it comes to your wealth and your money. It’s a process that allows you to be in control, create extraordinary returns with your money and time and use the tax laws to keep as much of your money as possible. Asset Criteria – We start with the end in mind, making sure that our asset will produce the results mentioned in the Infinite Wealth Triangle. For our real estate deals we want to make sure that the property will create cashflow and that we have a minimum of 25% equity in the deal. 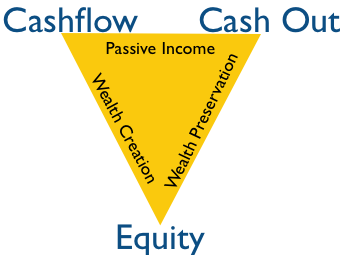 We use the Investing In Cashflow Tool to help us analyze our real estate deals to determine whether or not the deal fits within the Infinite Wealth Triangle. Asset Acquisition – During this phase we deal with everything that has to do with acquiring the asset. This will include everything from simply finding a deal, to putting it under agreement, doing our due diligence, arranging financing all the way through closing on the piece of property. Value Maximizer – The purpose of this phase is to do what we can to maximize the value of the asset. 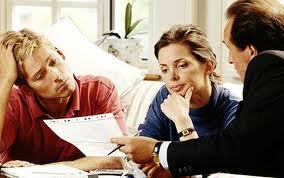 Often times with real estate we are able to maximize the value of the asset by increasing income. This can include renovating the building and putting in tenants at market rent. It can also include adding coin laundry facilities or other amenities that will enable you to increase your Net Operating Income. Re-Finance – Once you have maximized the value of the building, you should have created enough additional value that you can re-finance and receive your initial capital contribution back. Now you own the asset, are receiving cashflow every month, have equity in the asset and don’t have any of your own money in the deal. As if that weren’t good enough one of the things I love about real estate are the tax benefits you receive. When you combine the Infinite Wealth ProcessTM with real estate, we are able to receive tax free money every year, thanks depreciation. 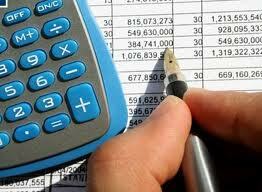 I will get more into the tax benefits of real estate in a later post. In the meantime, would love to hear how/why the Infinite Wealth ProcessTM would be helpful or not helpful to you in your current endeavors. Leave your comments below. Feel free to share your struggles as well as your successes. Have you ever chose between options, when you really wanted all of the options? Unfortunately many people have done this with their investments and/or businesses. Are you interested in Wealth Preservation or Wealth Creation? Are you interested in protecting your money or receiving a higher return on your money? Umm…how about ALL of the above? According to dictionary.com cashflow is defined as the sum of the after-tax profit of a business plus depreciation and other noncash charges: used as an indication of internal funds available for stock dividends, purchase of buildings and equipment, etc. Put simply cashflow is literally the actual cash that flows to you. 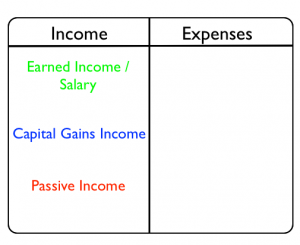 In particular our focus is cashflow derived from Passive Income. 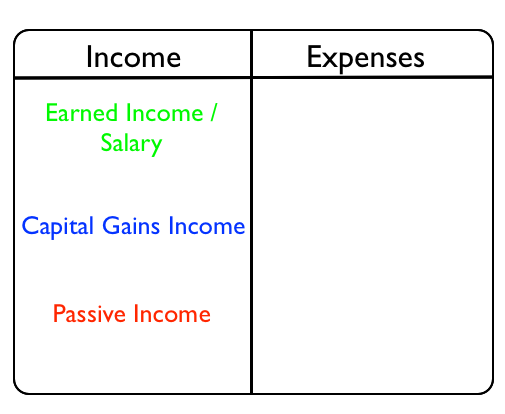 Our focus is going to be on passive income because that is the least taxable income (meaning you get to keep more of the money you make) and we subscribe to Rich Dad’s definition of Financial Freedom…when your passive income is greater than your expenses.